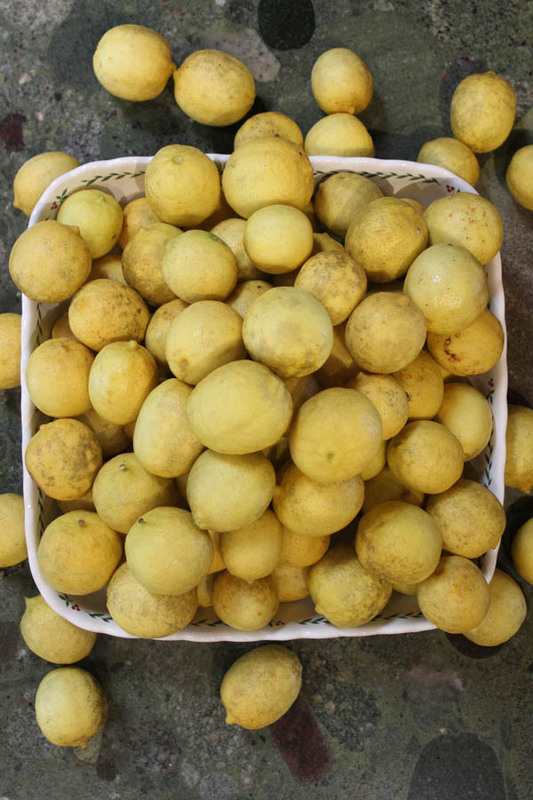 Have I mentioned that our LEMON tree has been rather…fruitful lately? Seriously friends. I think it might be time to set up camp at the Farmer’s Market. Meanwhile, I’ll just keep baking. 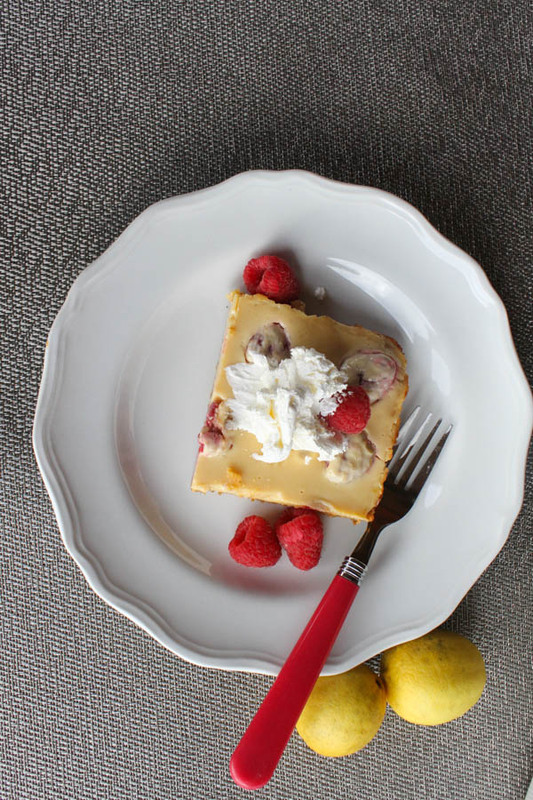 These lemon raspberry bars turned out so good. 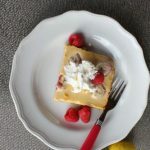 I thought you might want to make them this weekend! Yes? Good! I found the basic recipe for these (except using blueberries,) at TwoPeasandtheirpod, where I knew I could find something yummy. Since I had just stocked up on raspberries, I thought I could safely do a little berry-swap, and gave these a try. They came together so easily, and tasted SO GOOD, I made a second batch for company the next day. I’m so glad you want to try them. When will you have them? Saturday night? Sunday brunch? You’re gonna love them. Preheat oven to 350 degrees. Spray an 8X8 inch baking dish with cooking spray. Set aside. 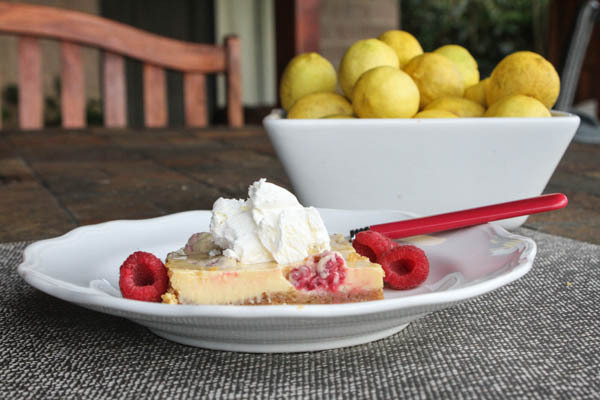 In a medium bowl, combine the graham cracker crumbs, melted butter, sugar, and lemon zest. Stir until graham cracker grubs are moist and well combined. Press into the bottom of prepared pan. 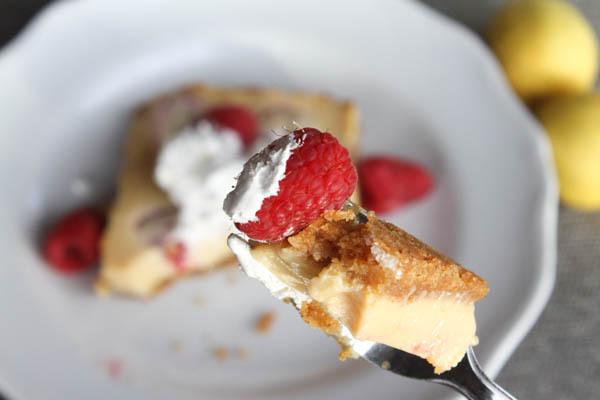 Bake the graham cracker crust for 8-10 minutes. Remove from oven and allow to cool to room temp. To make the filling, combine the egg yolks, condensed milk, lemon juice, and lemon zest. Stir until the mixture is smooth and becoming thick. Gently fold in the raspberries. 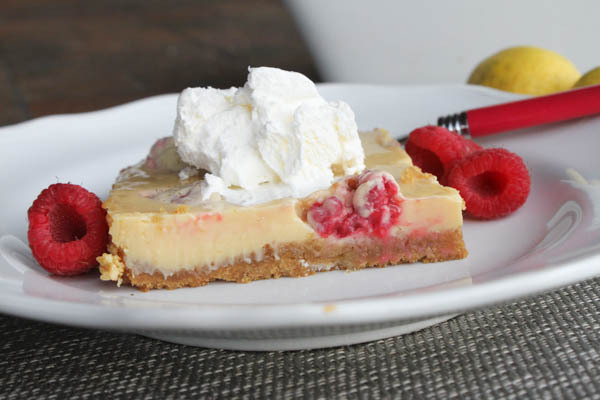 Pour the lemon raspberry filling evenly over the graham cracker crust. Bake for 12-15 minutes (everything bakes fast in my oven,) or until just set. Cool to room temp, then refrigerate for at least one hour before serving. 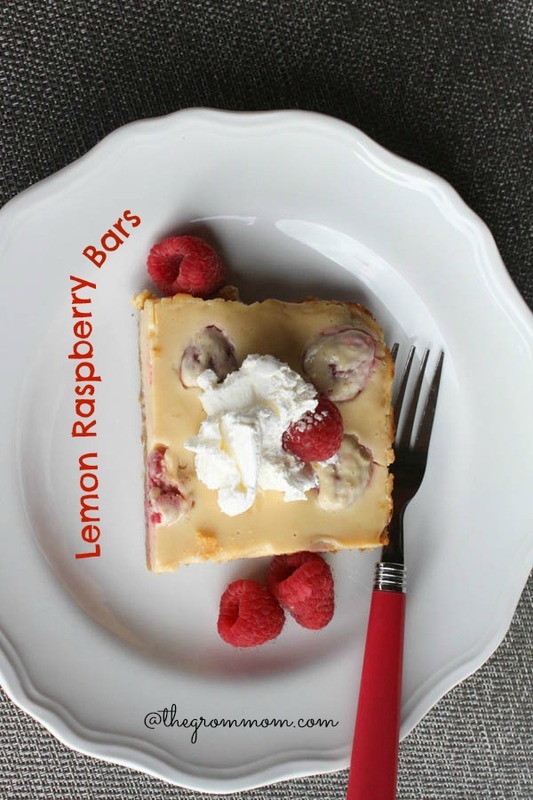 Cut into bars and serve with fresh whipped cream if you like. Bars can be refrigerated in an air tight container for at least three days. PS Lemon Oatmeal banana bread w/ dried cranberries: here. I made this awhile ago and it was GONE quick!!!! Super yummy!!! Send some on over Mon. Your photos look great! Way to go!! !